This card reader by Delock enables the use of a Compact Flash card via a 40-pin IDE interface. Using this device, you can treat the Compact Flash card just like a hard disk drive, you can even install an operation system on the card and boot from it. 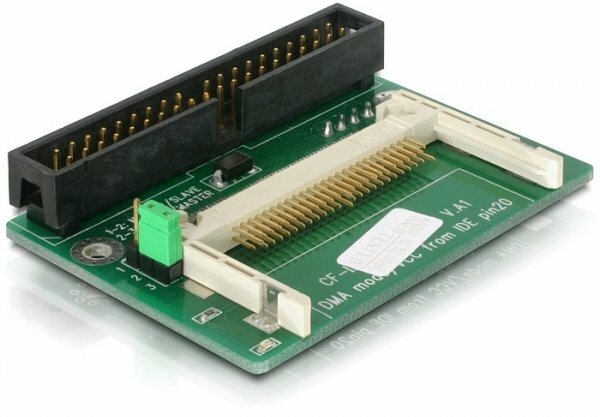 You need a standard 40-pin IDE cable to connect the adapter to your IDE interface.